Automatic Screw Locking Machines have many advantages regarding enhancing efficiency, precision, and stability, and for those reasons more and more companies are trying to bring them to their assembly lines, thus, automating them and positively increasing the levels of productivity. However, one thing potential buyers have to consider is that not all screws can be used in an Automatic Screw Locking Machine. What kind of Screws cannot be used? This is further classified by the type of Screw Head: Internal Hexagonal, Flat-Headed, Flat Top, Hex, Round Top, Headless, Self-Tapping Heads, Corrugated Heads, etc. The round screws between M2-M10 which are the most basics type can be safely used in Automatic Screw Locking Machine, those with Hex-Screws and external hex screws will mainly depend on the type of Machine being used, so Companies have to be very careful about the official schematics and requirements of the Machines and the type of Screws they will be using in the assembly lines. If you use standard M1.2 and M4, then they can be easily used by any Machine, without worrying about damaging the Machine. Moreover, Headless, Flat-Headed, and Flat-Topped are not meant to be used by an Automatic Screw Locking Machine as the Suction and/or Compressed Air Blow (Depending on the Kind of Machine) will damage the Screw and consequently damaged the Machine and the Product where the Screw is being applied to. The other classification is Screws with Gaskets: Body Washers Screws, Rotating Washers Screws or other Rotating types Screw cannot be used by an Automatic Screw Locking Machine under normal circumstances. These Screws with Gaskets, Rotating Washers or other Rotating types of Screws in any shape or form can be used by these Machines, however, it is important to read the Machine’s schematics and specifications, as the normal Screw process will have to be changed in order to fit in the Machine. 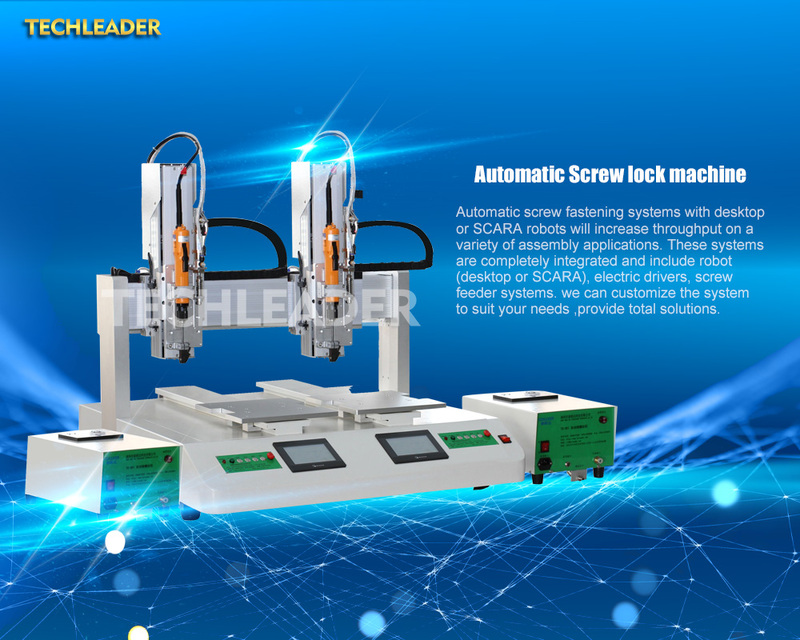 All Manufacturers of Automatic Screw Locking Machines will have Customer Support in place, to offer technical guidance and answer all questions about the Schematics and Specification of their Machines. In case that any modification has to be made in order to fit these types of Screws the Manufacturer is in the capacity of sending a qualified Technician or Trained an Employee from the Company to make all the necessary adjustments. Screws Specifications for using an Automatic Screw Locking Machine. Some of the quality aspects that have to be considered regarding the Screws that will be used for these Machines are the overall quality of the Screw, security features like Bulk, Migraine, and Front Batch. As long as these aspects are met and the quality of the screws is top of the line, then you can be sure that no small or big harm will come to your Machine, and your Automated Assembly Line will not suffer any delays.